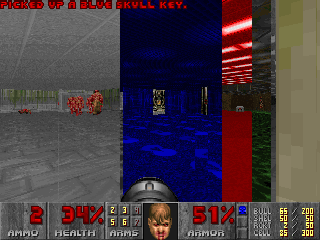 DOOM Doom II: Hell on Earth "Kama Sutra" in 10:56.09 by Akse. Kama Sutra is a 32-level Doom 2 megawad released in March of 2005, created by Adolf "Gusta" Vojta and Jakub "method man" Razak, a pair of Czech speedrunners. They are together known as the "KSteam" after this project. DOOM The Ultimate Doom (unknown) "Episode 4" in 02:35.76 by Akse. 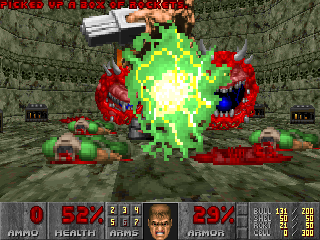 Doom is a 1993 science fiction horror-themed first-person shooter (FPS) video game by id Software. It is considered one of the most significant and influential titles in the video game industry, for having ushered in the popularity of the first-person shooter genre. The original game is divided into three nine-level episodes and distributed via shareware and mail order. 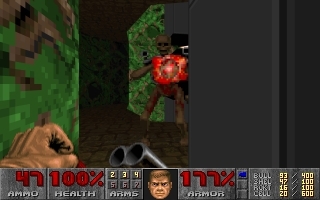 The Ultimate Doom, an updated release of the original game featuring a fourth episode, was released in 1995 and sold at retail. This run by Akse beats the fourth episode using Skill 4, Ultra-Violence. This is the most common skill level used in the Doom speedrunning and TAS community. Note: The encode has been extended to include the full ending music. 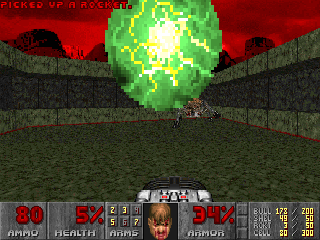 This is not present if you play back the movie in Doom. DOOM The Ultimate Doom (unknown) "Episode 2" in 03:22.01 by Akse. Finally, 16 years after Doom was modified to allow savestates and slowdown (giving birth to tool-assisted speedrunning), TASVideos presents such a movie! This run by Akse beats the second episode using Skill 4, Ultra-Violence. This is the most common skill level used in the Doom speedrunning and TAS community. DOOM The Ultimate Doom (unknown) "Episode 3" in 03:16.38 by Akse. This run by Akse beats the third episode using Skill 4, Ultra-Violence. 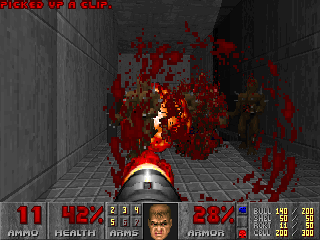 This is the most common skill level used in the Doom speedrunning and TAS community.